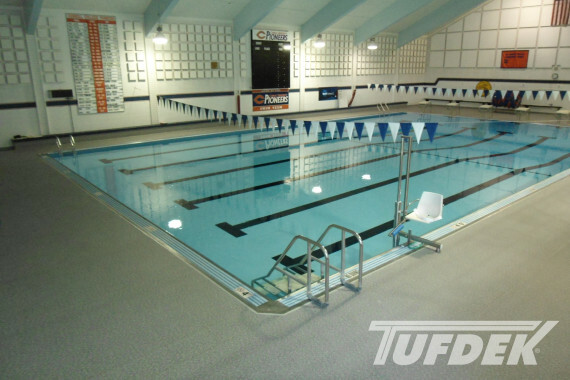 Where can you install Tufdek™ waterproof flooring? A better question would be, where can’t you? Choose the deck photo gallery below that best represents your project. View deck images from both residential and commercial waterproof decking projects. 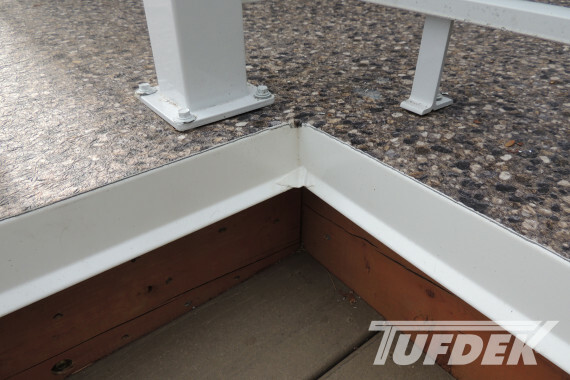 From flat roof decks and sundecks, to balconies, patios, and pool decks, these vinyl deck images illustrate how Tufdek™ waterproof vinyl decking products offer rugged protection, a tough decking surface, and long lasting looks wherever it is installed. As you can see from the waterproof decking photos below, Tufdek™ is terrific for any outdoor installation including walkways, stairs, and even as a waterproof pool deck for residential or commercial swimming pools. Wherever our waterproof decking is installed, Tufdek™ vinyl membranes provide a weatherproof surface that looks great and is virtually worry free. We hope our waterproof decking galleries below give you inspiration! 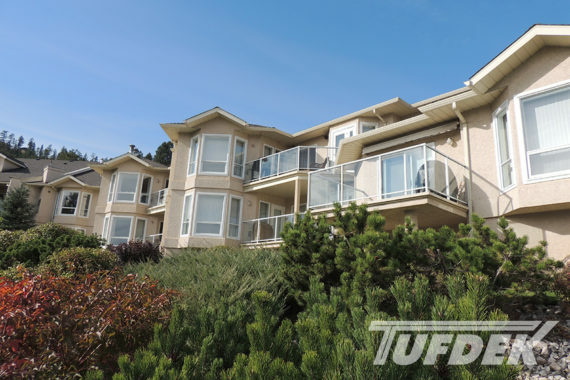 We are confident you’ll quickly see just how versatile Tufdek™ vinyl decking really is, and how it can work for your home, commercial building, or multi-family condo complex. I have known Bryan Hughes with Tuff Industries for many years. He and his firm have an excellent reputation and background. “We work with clients who demand the best and we make that possible by offering the most unique and innovative products in the industry. 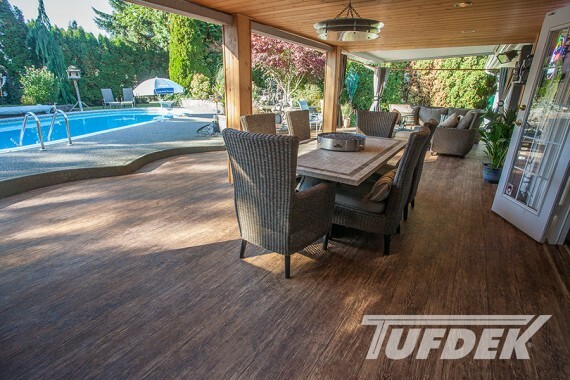 Tuff Industries has the best performing and best looking vinyl deck products on the market and we are pleased to be the “Authorized Dealer” for Tufdek™ in the Okanagan Valley.